EZ-Up Jacks - Sauber Mfg. Co. 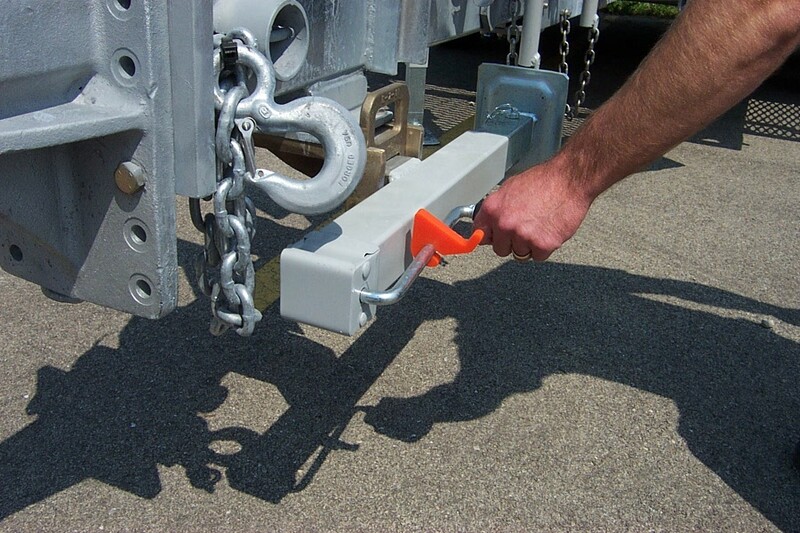 These jacks feature severe duty bronze swivels, and can be rotated ninety degrees for horizontal storage during travel providing maximum ground clearance with a minimal amount of cranking. 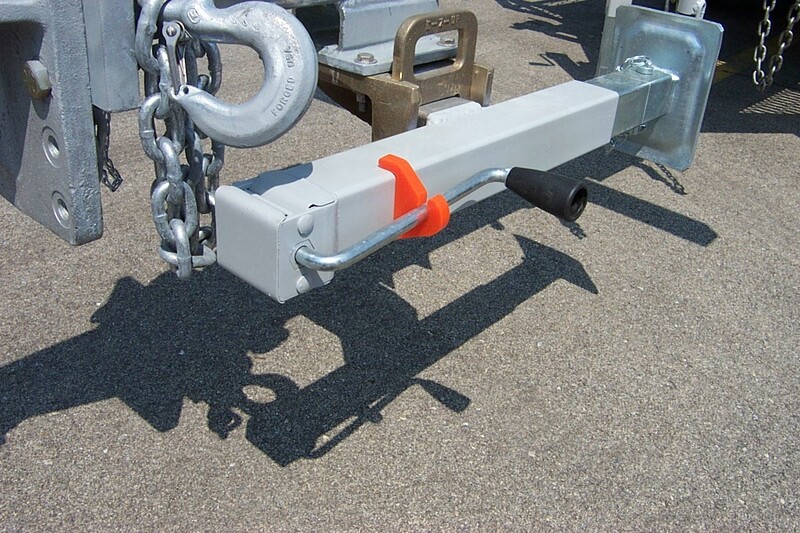 Jacks can be fitted with sand shoes or 8″ diameter polyurethene/aluminum swivel casters. 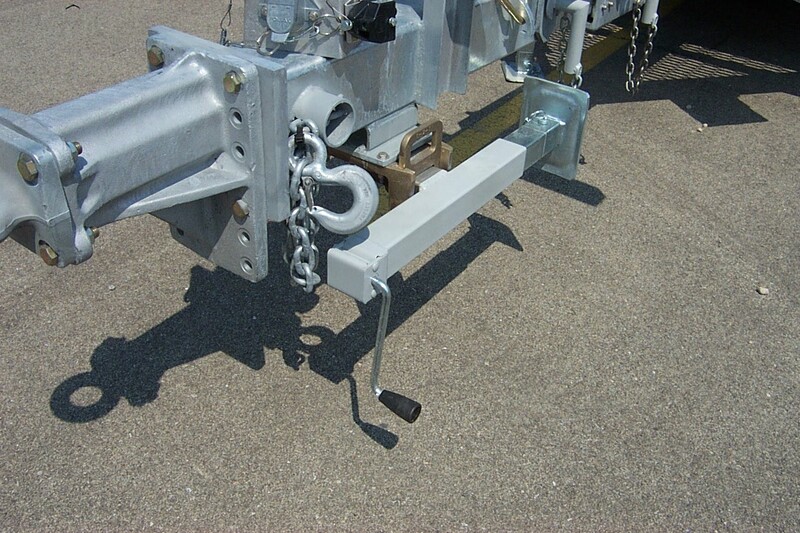 17754 EZ-Up side-winding w/ 10,000# static capacity jack w/ heavy duty AL-Bronze travel swivel. 8”x2” Caster w/ mold-on polyurethane tread mechanically bonded to an aluminum core – 28″ travel, 1650 lbs. cap. 17189 EZ-Up side-winding w/ 10,000# static capacity jack w/ heavy duty AL-Bronze travel swivel. 6″x8″ sandshoe – 28″ travel, 10,000 lbs. cap.